This Celebrity Big Brother recap reveals Ricky Williams won the first Power of Veto during Ryan Lochte‘s Head of Household. After the exciting events of the last episode, the audience was in for even more excitement as Ricky stirred the pot before the PoV Meeting. The CBB US episode began just after HoH Ryan Lochte nominated Tom Green and Anthony Scaramucci. Ryan’s alliance partners, Tamar Braxton, Natalie Eva Marie, and Lolo Jones complained to each other when Ryan kept Dina Lohan off the block. They blamed Jonathan Bennett for the betrayal. Could Jonathan’s impulsiveness send him home later in the week? Later, in the Celebrity Big Brother Head of Household room, Ryan Lochte and Jonathan continued to strategize about their game going forward. Jonathan and Ryan noted that they wanted to go to the end of the game together. Will this mismatched duo withstand the forces the game sends their way? Only time will tell. No CBB US Alliance Is Secure: Anyone Could Walk In! The “Four Tops”, Kandi Burruss, Natalie, Lolo, and Tamar were working out in the fitness room when Jonathan unexpectedly walked in. This aroused the ladies’ suspicions. They continued to discuss how they felt betrayed after Jonathan made moves without them. The Four Tops decided to consider voting Jonathan out if he was still on the Celebrity Big Brother chopping block on eviction night. Later on, Natalie and Lolo were excited to be alone… or so they thought. Natalie eagerly said that she wanted to name their Final Two alliance, but Tamar Braxton was still in the room! Tamar called the duo out for their open gameplay. This could foreshadow some drama later in the game for the Four Tops. Then, when Tamar, Natalie, and Lolo were hanging in the HoH room, Jonathan and Ryan walked in. The three women quickly stopped talking and abruptly left. The guys were very suspicious. 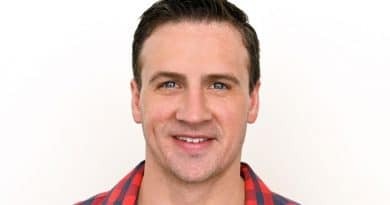 Ryan Lochte started discussing potentially nominating one of the girls if he won the Celebrity Big Brother Veto comp. This week is proving that alliances can fail fast. After a lot of strategy talk on CBB US, it was finally time for players to be picked for the Power of Veto competition. Nominees, Anthony Scaramucci, Tom Green, and Jonathan, would automatically compete, as would Head of Household Ryan Lochte. Two other players randomly chosen were Joey and Ricky Williams. Lolo was the first host of a Celebrity Big Brother Power of Veto competition. To win the PoV, houseguests would mount a mechanical horse. After rocking it 60 times, they had 30 seconds to stack gold bars on a rotating horseshoe. If they didn’t get back on the horse fast enough, they were out. If their bars fell, they had to start from scratch. During the competition, everyone started out relatively even. However, Joey had no desire to win the Power of Veto, as he did not want to be seen as a threat. Tamar Braxton noticed him sandbagging and quipped in the DR he should have done a better job acting. Ultimately, Ricky Williams won the first golden Power of Veto on Celebrity Big Brother. As the CBB US audience noticed, Kandi Burruss and Tamar Braxton have a messy history. After the Veto comp, the two women hashed out their differences. They talked about the fallout during a concert tour a year back. 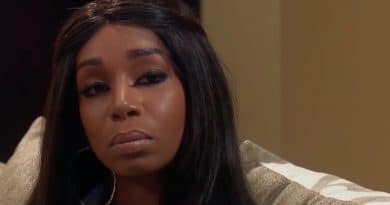 In the end, however, Tamar Braxton ended up getting more upset than ever. She stormed out of the bedroom and into the Diary Room, teary-eyed. She wound up under her hoodie reminiscent of BB17‘s Audrey Middleton and her blanketing in the DR. Hopefully these two musically-minded mamas can make up during their time in the Celebrity Big Brother house. After winning the PoV on Celebrity Big Brother, Ricky had a tough decision to make. The houseguests were more than willing to tell him what he should do. Ryan Lochte approached Ricky Williams to warn him the girls had an alliance. He wanted Ricky to pull Jonathan off the block so he could target a girl. But Ricky Williams ran straight to Lolo Jones and spilled the tea to stir the pot. She shocked to learn of Ryan’s betrayal. Then again, she’d flipped off her fellow Olympian earlier, so it shouldn’t have been such a shock. Lolo pleaded with Ricky to not use the Veto. After deliberating, Ricky called the PoV Meeting to order and announced to the CBB US gang he’d decided not to use the first Power of Veto of the season. That left Jonathan Bennett, Anthony Scaramucci, and Tom Green on the block. However, Friday’s episode reveals a big twist as it comes out that The Mooch was never really part of the game. So, watch CBB US Friday to see who goes on the block in his place and the results of a second PoV comp under Ryan Lochte’s HoH. Check back often for more Celebrity Big Brother recap updates, spoilers and news. I'm all about reality TV, and I'm so excited to tell you every detail! I look forward to writing and sharing my passion with you! ‘Celebrity Big Brother’ Casting News: Tiffany Pollard and Other Celebs Pulling Out of CBS Show?